Looking to get rid of your old car? Try donating it. 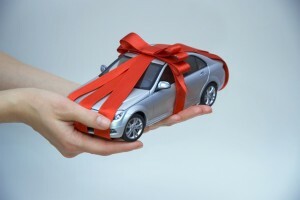 Sure, you’ve heard all of the commercials advising you to donate your car to their charitable organization, but are they really worth it? To some it may not be because they believe that most charities just sell the cars to fund their employees or think it’s not put to good use. It’s true, there are charities that take advantage of the donor and it’s important to take note of which ones out there are actually legitimate. When you first look into donating your car, you obviously need to have proof of ownership. Then, search for a charity, it can even be local, that will arrange the donation. If you have a charity in mind that you favor, it will be even more beneficial for you to donate with them. If they can’t accept the donation directly, you can always ask them what organization does and what they are all about. If you are supporting a certain cause, they will most likely direct you to another charity that is able to take your car. One of the more important things is to remember why you are donating your car in the first place. The tax deductible bonus is nice, but what is the real reason why you want to? If you believe that it will help move the organization forward with a little extra cash by being sold or even if it’s used to travel around, then you have the right mindset. Bio: Ferhan Patel is the CCO of Payza, a global payment processing platform. His responsibilities include implementing the company’s AML/CTF, compliance, fraud, and risk mitigation policies.